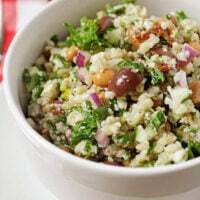 Sometimes, a little Middle Eastern comfort food is all you need…..who said you can’t splurge, enjoy lots of flavor and still keep it healthy and low in fat? Many people have the idea that making your own food is complex and time-consuming, but I love making super quick and simple recipes. Many dressings and sauces I make, such as this one, is super easy, uses condiments you mostly already have in your pantry, and you can just whip up in under 5 minutes. All you need is a high-speed food processor, and you can make your own sauces and dressings in an instant. No oil needed in this recipe, as the (healthy) fat we use in this one is tahini, a pure paste of sesame seeds. Sesame seeds are loaded with iron, zinc, calcium, phosphorous, magnesium (necessary for maintaining balanced mood levels, calcium essential for bone and teeth health, phosphorus which is essential for proper function in so many important facets of our body, vitamin B1, skin and muscle nourishing selenium, and dietary fiber which is essential for optimal gut health. Its hard to get all the benefits with just a sprinkle, so tahini is a more concentrated way to enjoy and intake the wonderful health benefits it has to offer. This also adds creaminess to your dressing, fusing the flavors of the spices and herbs together. Have you tried these other plant-based dressings? 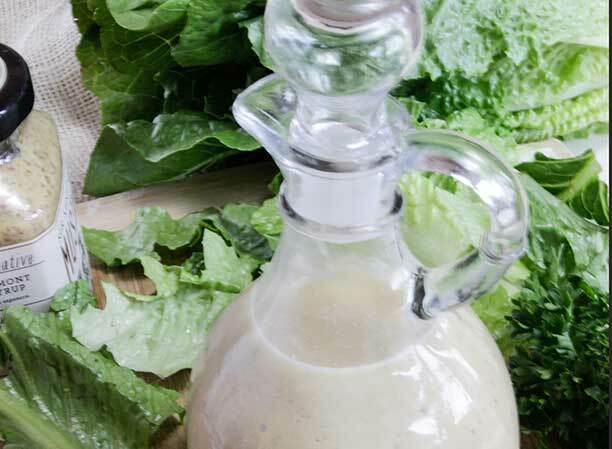 Oil-Free Salad Dressing Formula - Try your own! The cool thing about this tahini dressing is that it’s made with cannellini beans! 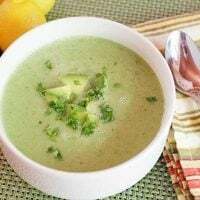 This adds a lot of creaminess, cuts down on fat, enhances the fiber levels, and helps you get your 1/2 cup serving of beans into your diet, as recommended by Dr. Fuhrman. 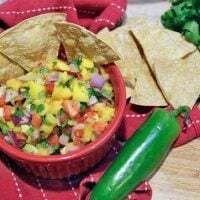 Great for topping a salad, vegetables, baked potatoes, falafel or falafel burgers (include link) or steamed veggies! 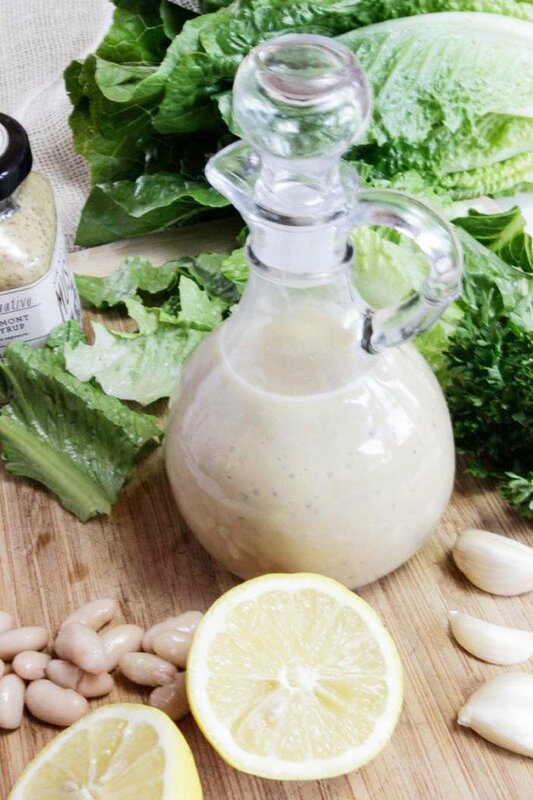 I'd love to hear your feedback in the comments below for this Tahini Dressing! If you have a photo, post it on my Facebook page, tag me using the hashtag #plantbasedcooking in your caption, and I won't miss it! Creamy and full of flavor, this tahini dressing is great as a dip or hearty enough for a vegetable salad. What is stone ground mustard? I haven’t heard of that here in Australia.. I have just found your website and can’t wait to try your recipes. They all sound delicious. So glad you discovered PB Cooking 🙂 Hope you enjoy the recipes. Stone ground mustard has a grainier, coarser texture than regular mustard and has some of the mustard seeds in it. It’s also usually spicier. Hi, I’m loving your website- can’t wait to get started on some of these recipes! I’m wondering if this dressing could keep in the fridge for a few days, or if it should be used right away? I was also actually wondering the same thing about your oil-free vinaigrette? What exactly is a serving size? 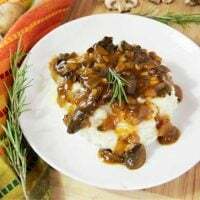 I love your Facebook posts and have gotten so many great recipes ideas. I’ve been eating a WFPB diet since late September. Hi Donna, Thanks for your kind words! I’d say it’s about 2 tablespoons. You gave me incentive to check on the nutrition label and update it. It’s more accurate now with about 43 calories per serving.